Now it is not necessary to have web panel for the sellers. The sellers can easily add new products by using the mobile application. Even though seller can also edit the product details. The seller can set the maximum delivery radius to reach the maximum customers. The radius will define the seller’s targeted customers to deliver the products within a specific region. 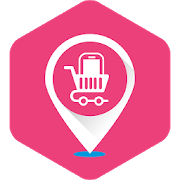 Buy Products From Nearest Store: The customer can buy the products from his/her nearest store. They can choose any store that is available according to their location. The app will have the feature like customers can see stores according to the location that you will choose. This feature will show you N number of stores around you. Also, the seller can set location for his/her store. It displays a list of all the sellers, seller’s products, separate seller profile. 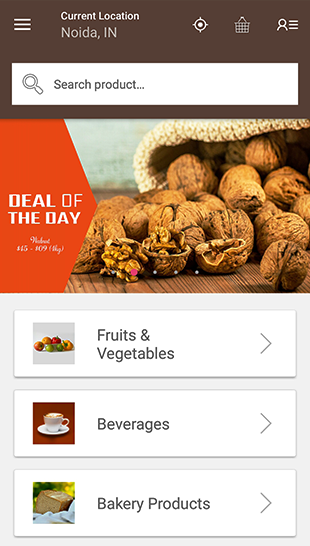 The customers can choose their favorite seller and can shop on the go by using the mobile application. The mobile application is contributing a tremendous role to creating a competitive advantage for your eCommerce Store and you need to have the best mobile application which is fully compatible with Magento Marketplace. This App is an add-on of Magento Marketplace Multi Vendor Module. To use this module you must have installed Webkul Marketplace Multi Vendor Module first. 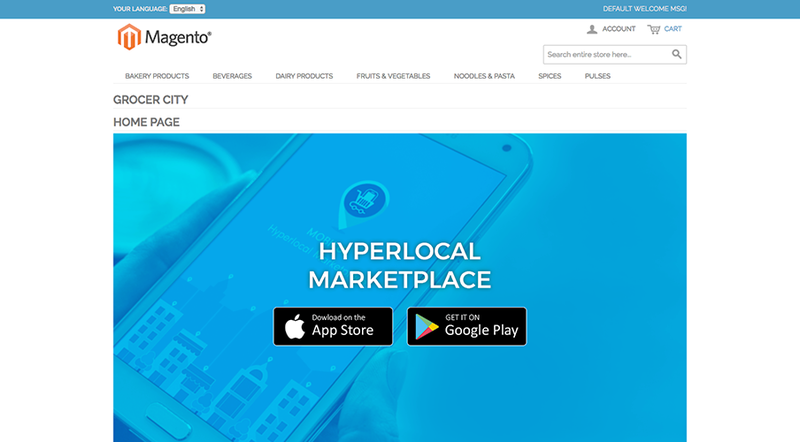 This App is an add-on of Marketplace Hyperlocal System For Magento. To use this module you must have installed Webkul Marketplace Hyperlocal System For Magento first. The Mobikul Hyperlocal will provide you the best mobile app in all aspects of technology and eCommerce business fields. If you want to customize the as per your business needs then we also do provide customization service (paid service). The Mobikul Hyperlocal Marketplace Mobile App is fully customizable as the code is open. By using the source, you can also customize the app according to your business needs.